This week’s Marine Corps Times takes readers behind the scenes at one of the service’s most secretive organizations — Marine Corps Forces Cyber Command. We gained rare access to sit down with its chief of staff, Col. Mark Butler, who told us the future has much in store for the young but burgeoning command. That includes ample career opportunity, generous financial incentives to join and stay, and an increasingly central role on the modern battlefield. Despite austerity measures across the Defense Department, leaders recognize the growing threat to the nation and its military machine from cyber attacks abroad. Those attacks can steal sensitive information and paralyze a modern force by taking critical infrastructure offline or damaging its command and control capabilities. That makes cyber warriors indispensable. But with the lure of six-figure salaries in the civilian job market, the command will likely begin offering some of the service’s most generous bonuses to keep capable Marines in uniform. 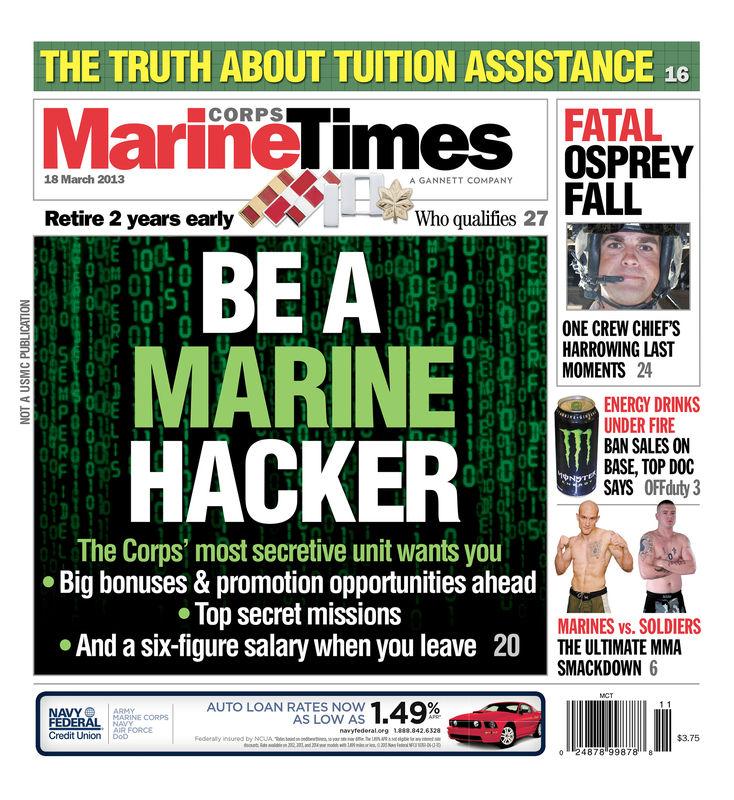 To learn more about the command and how to join, pick up this week’s Marine Corps Times, on newsstands now. Or access it online here.